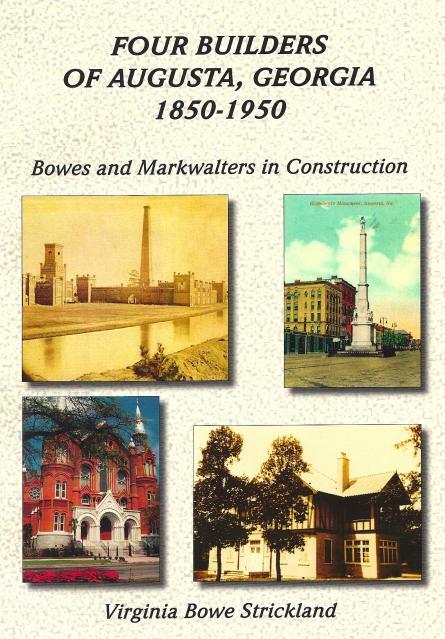 Four Builders of Augusta, Georgia, 1850-1950. Bowe and Markwalter Families in Construction. 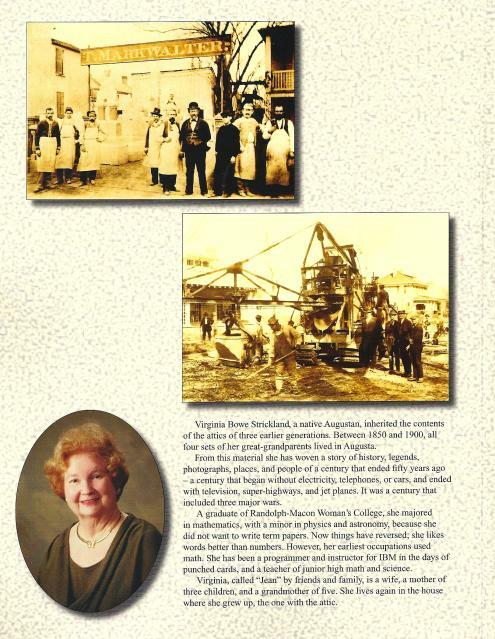 The stories behind many of the places in and around Augusta today. Indexed, softbound, 8 ½ X 11, 180 pages, 170 photographs. By Virginia Bowe Strickland. $20. To order, write to Jeanealogy@yak.net .